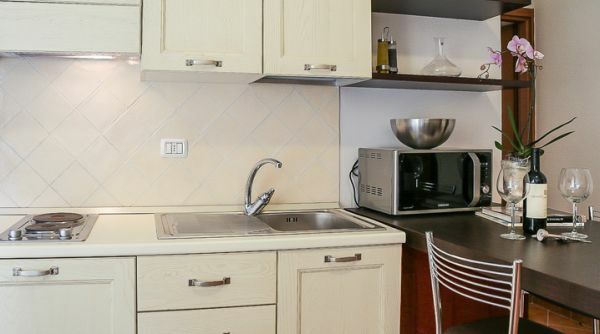 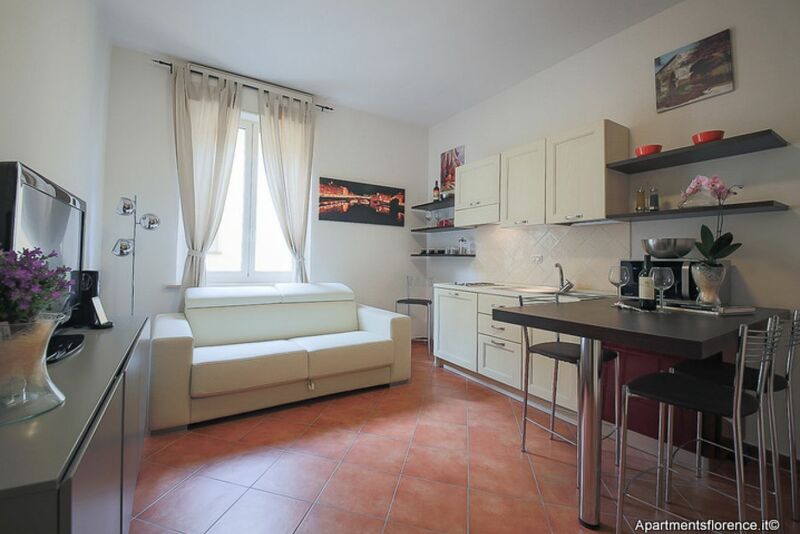 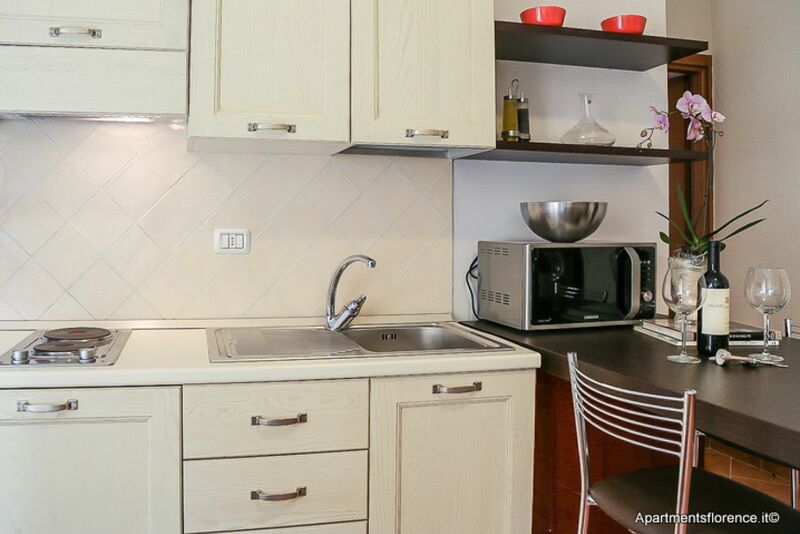 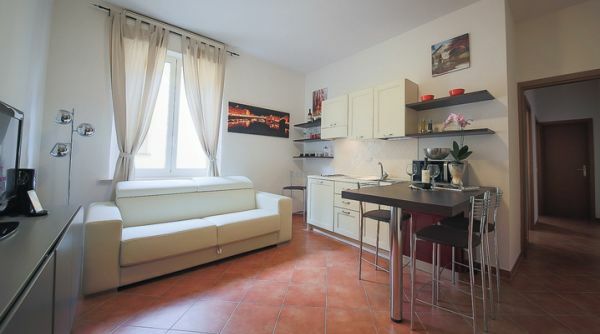 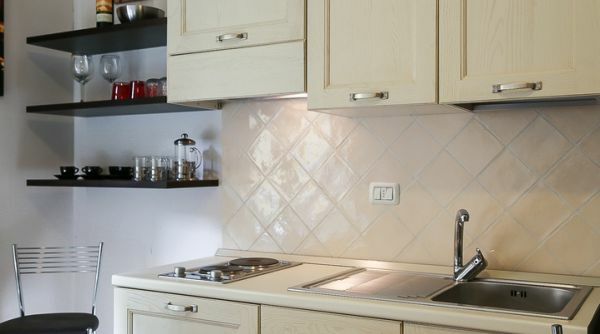 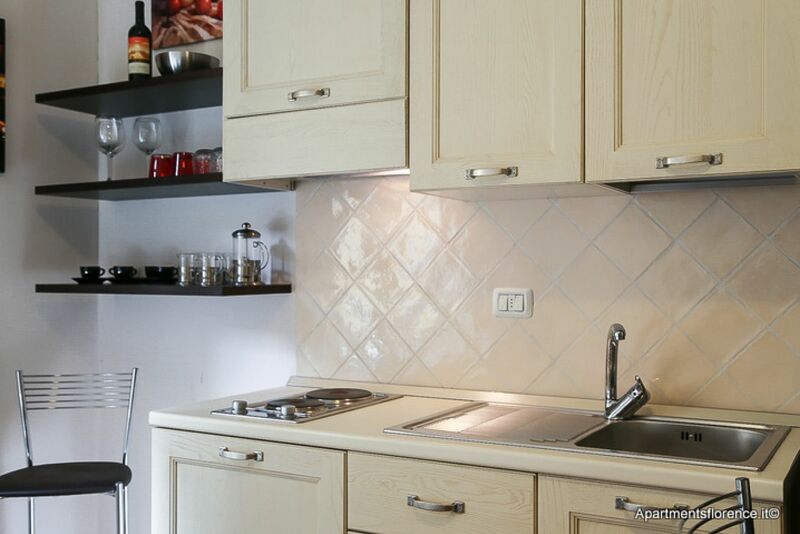 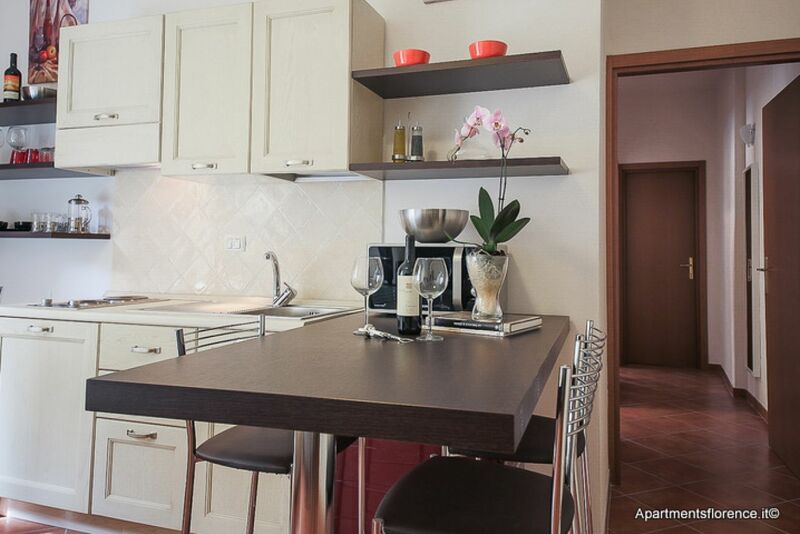 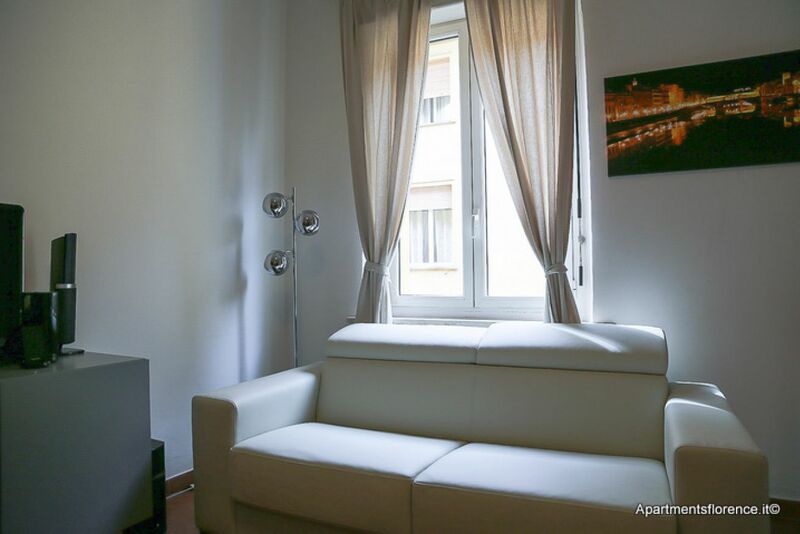 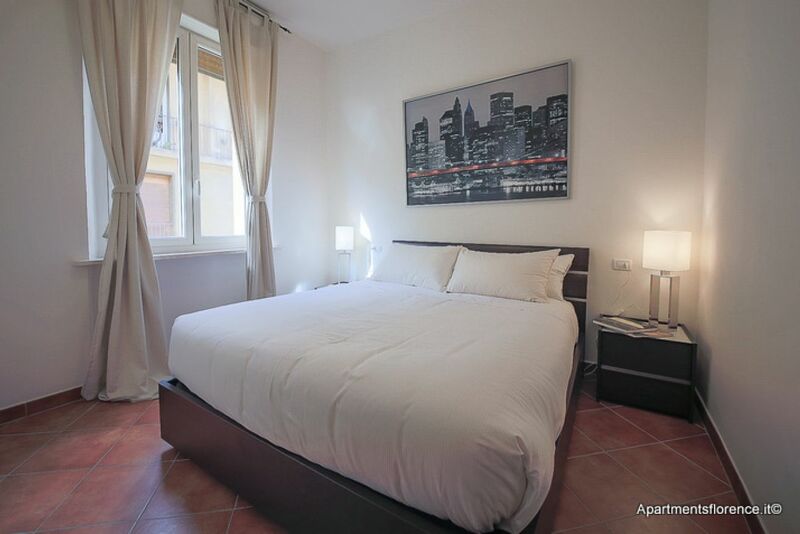 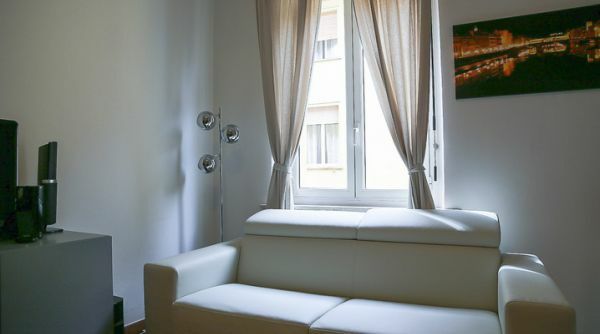 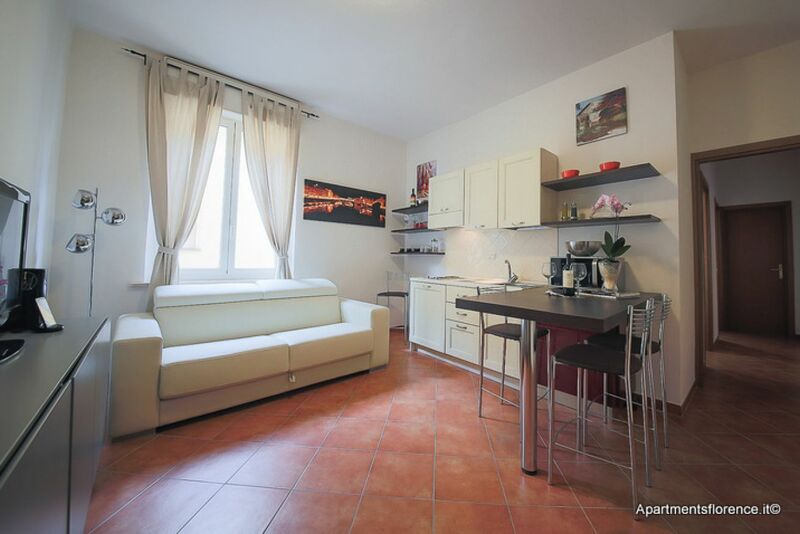 Apartment "Modern Feel" for rent in Florence, Italy. 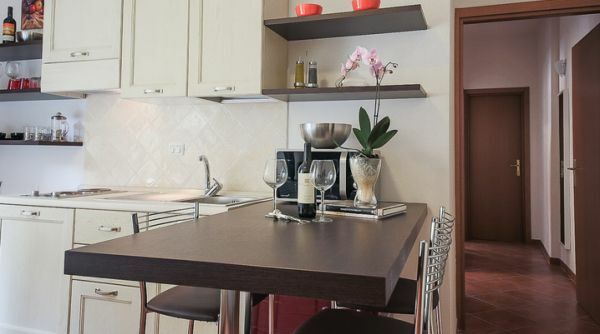 This bright and spacious apartment is the perfect starting point for a group of friends or a large family who wish to explore Florence and all its beauties. 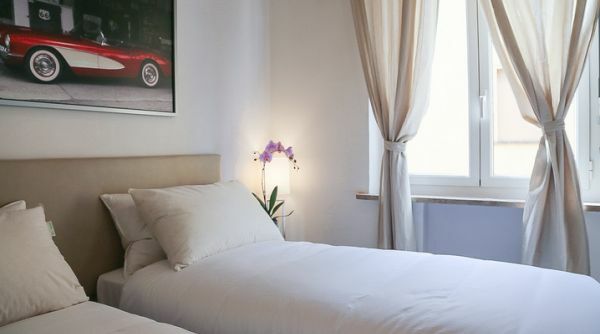 Spend your holiday in Flroence staying in one of the most prestigious areas of the city center, literally a few steps away from Ponte Vecchio, in the Oltrarno area. 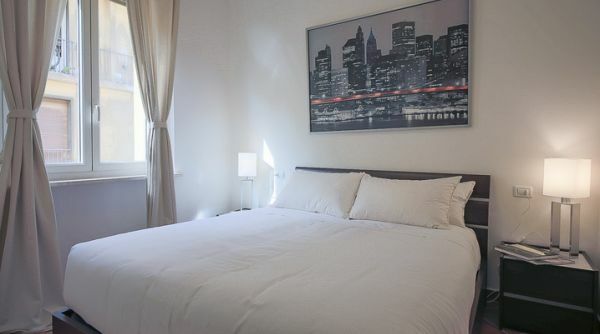 All the monuments and most important historical sights are just a stone's throw away. 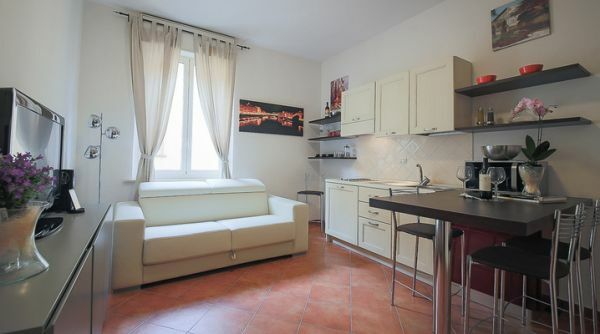 This charming, bright and cozy apartment is located on the 3th floor with elevator: a very rare feature in downtown Florence. 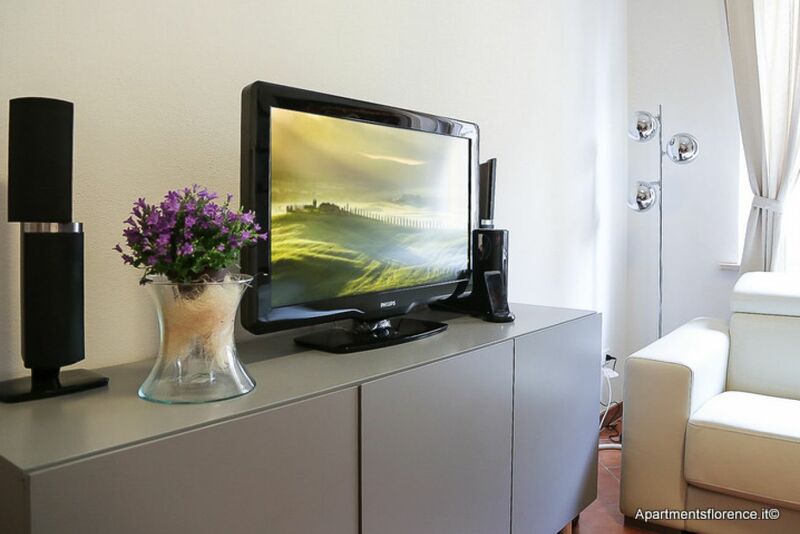 Entering the apartment you will find yourselves into the lovely and brigth living area, with a fully equipped kitchen, dining table and a double sofa-bed. 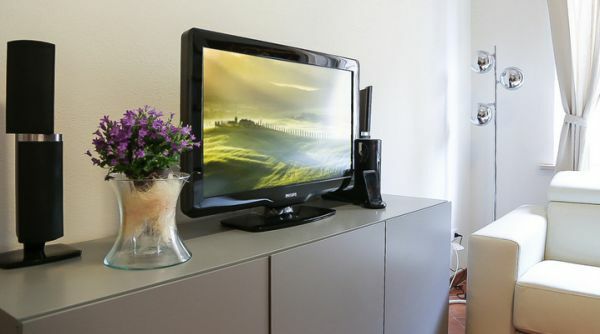 There's also an LCD Tv with a home theater hi-fi system and an iPod docking station to listen to your favourite music. 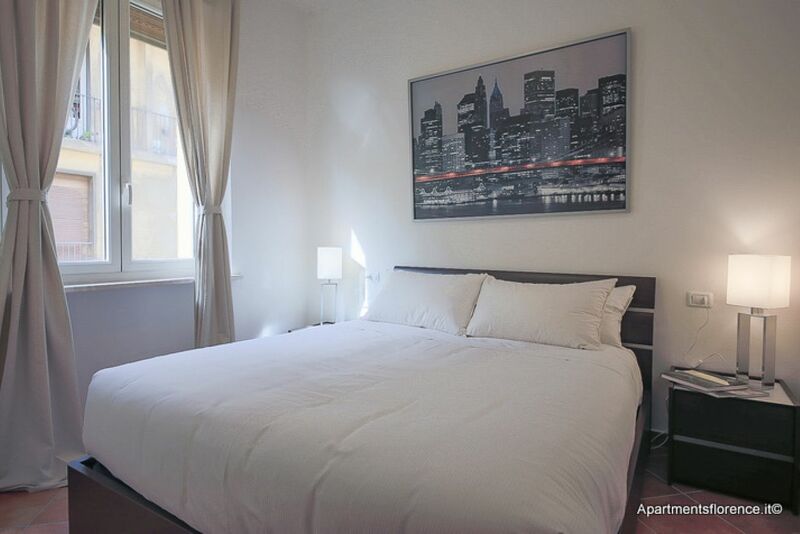 The apartment can accommodate up to 6 people, thanks to its two bedrooms, one with a queen-size bed and the other with a couple of single beds. 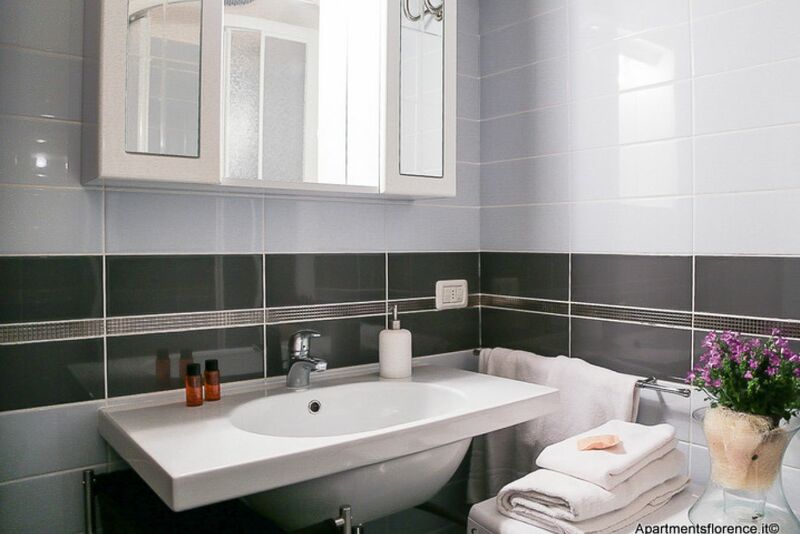 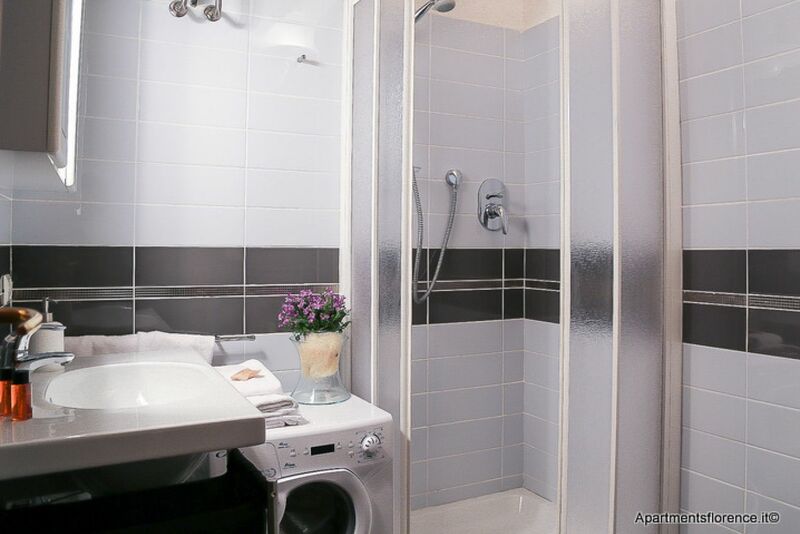 A spacious and newly renovated bathroom with shower and washing machine completes the property. 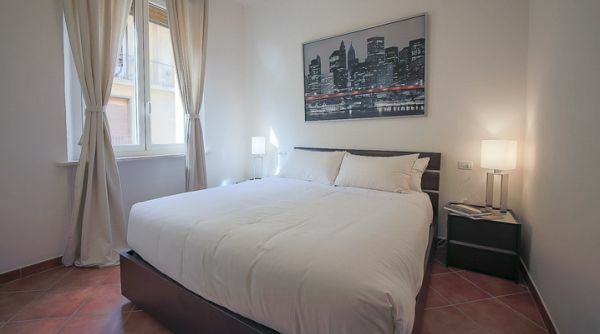 The whole place was recently renovated and decorated with taste and modern elegance, with great attention in providing prime choice amenities: air conditioning in every room, wifi, home theater, microwave etc. 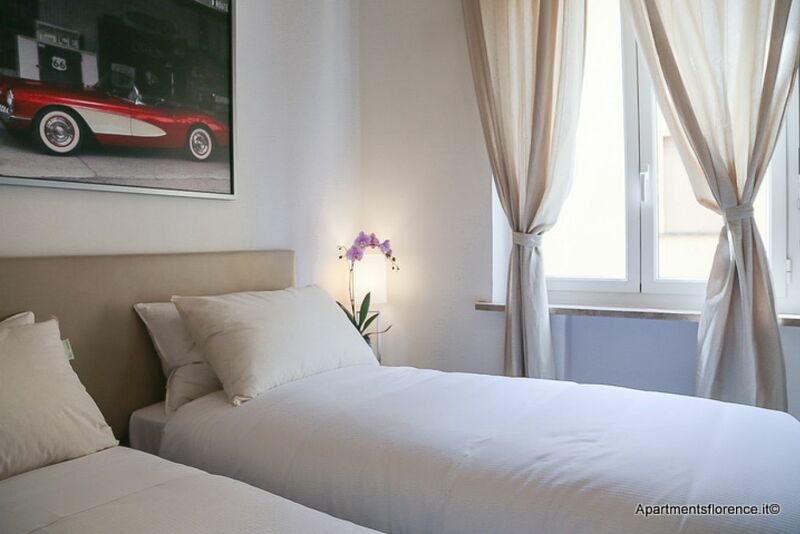 The Oltrarno area is one of the most typical neighbourhoods in Florence: minutes away from the main historical and artistic landmarks, but rich with typical restaurants, clubs, workshops and antiques' boutiques. 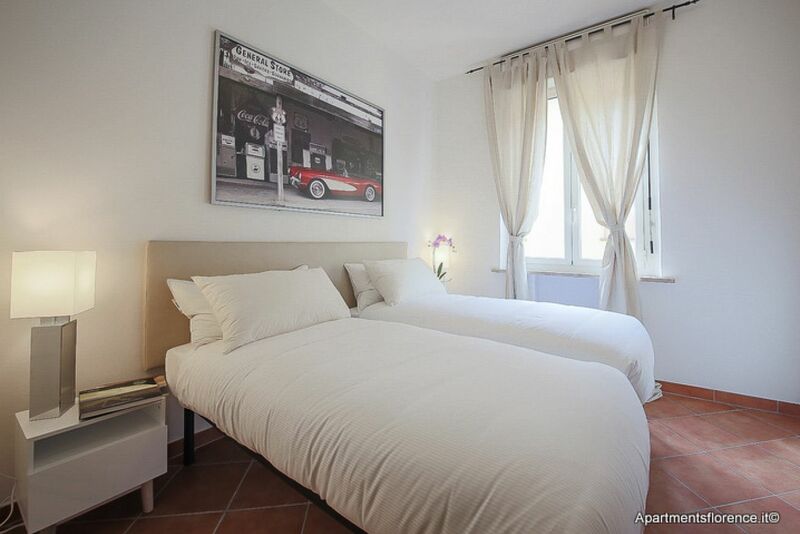 Doesn't matter if you are here for sightseeing, shopping or searching for a glimpse of Tuscany: this is the perfect starting point to explore all the different areas of Florence!